[Woburn, Mass.] – Sept. 3, 2013 – Comindware Inc, a leading provider of adaptive business process management software, has been honored with a BIZZ 2013 Award. The company was recognized by the global business organization WORLD Confederation of Businesses (WORLDCOB) as a successful business leader that works in an innovative, knowledgeable and systematic manner. 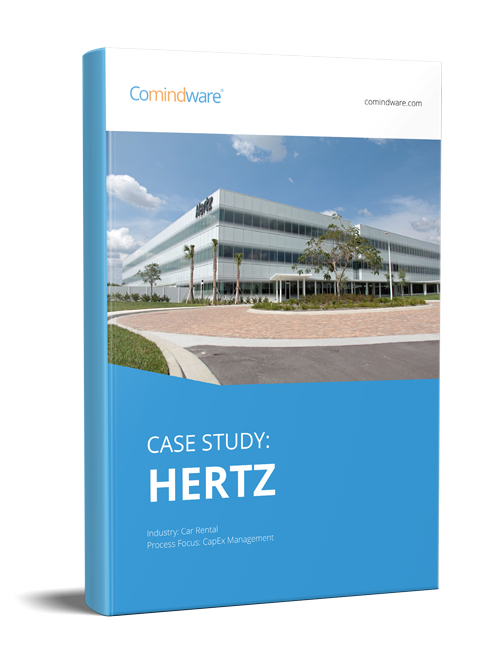 Comindware helps growing businesses orchestrate processes and team members effectively within one single system. Its flagship product, Comindware Tracker, enables companies to streamline routine processes like customer requests, issues, incidents, and many others, including unpredictable ones, thanks to the universal built-in workflow engine and proprietary ConnectStep technology. The BIZZ 2013 Awards recognize business excellence and supports businesses for the proven experience and steady growth that they have experienced over a year. WORLDCOB believes that it is important to honor business excellence in order to stimulate this growth by exemplifying recognized business leaders to motivate others. Over the past year, Comindware introduced in-the-cloud access; web services API for simple integration between Comindware and other systems; extended solutions for IT Help Desk and Finance; and many other product enhancements. The company also received the Graphie Award for its cutting edge ElasticData technology that is based on flexible graphical databases, as opposed to the traditional relational databases used today. Comindware is a pioneer in adaptive business process and workflow management for teams across the enterprise. Its mission is to optimize the performance of businesses worldwide through the power of disruptive technologies. Comindware was founded in 2010 and is led by a team of successful serial entrepreneurs with roots in several industry-leading software companies, including Acronis, Inc., Parallels and Kaspersky Labs. A privately run firm, Comindware is headquartered in Woburn, Mass. World Confederation of Businesses (WORLDCOB) is a leading international organization that encourages worldwide business development and growth. It has over 3,000 member businesses in more than 60 countries around the globe. The company’s headquarters are in Houston, Texas in the United States.